Many of you play games often, even I play games like Clash Royale or 8 Ball Pool on my phone, but just now I saw something that blew my mind. It’s a game called Brave Explorers. From the name, you might have already guessed that it’s an adventure game, but you will be shocked to know how you make it, you create levels and challenge yourself. In this game, you will have to run and jump in different directions and cross the obstacles. Now, you might probably ask me, especially the 90s’ kids, ‘Oh, another Super Mario remake or copy?’ NO! It’s way beyond that. 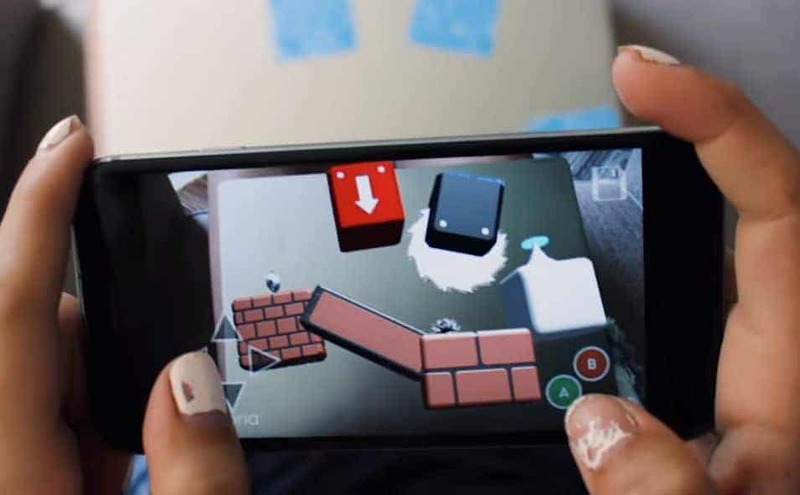 In the game, you create levels by pointing your camera at cutouts and turn them into objects which work as obstacles. Is Brave Explorers yet another AR based game like Pokemon Go? Sorry, it’s not like that. I have not understood yet why whenever hears that a game or app works with AR they instantly link it to Pokemon Go. Pokemon Go was designed in a way, and this is something else. In Pokemon Go you can not just define the challenges, you will face or a target for catching a particular Pokemon, but here you can. You just need to grab the toy sets of different building blocks and obstacles. 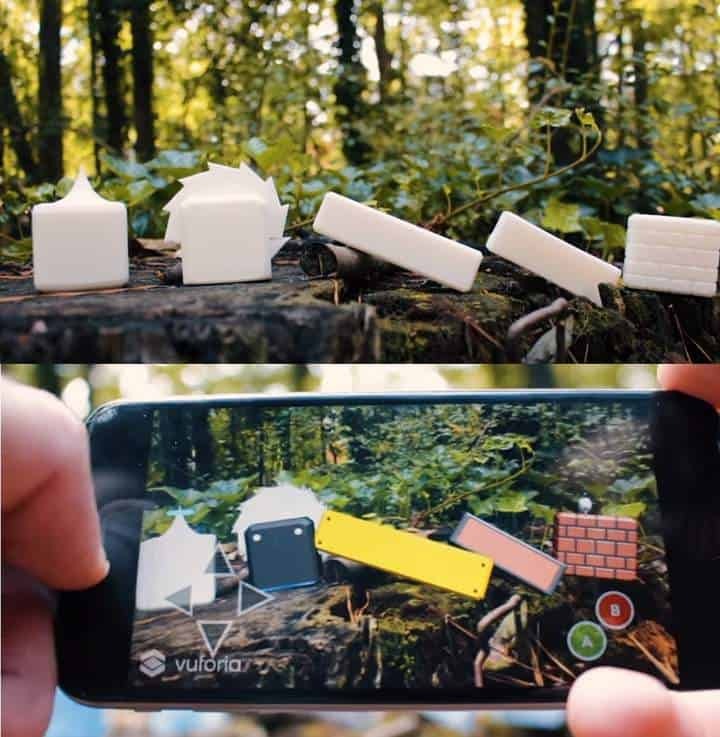 Just set them up as you want and as soon as you open the game and point your camera to the objects placed, and they will turn into interactive obstacles, and you need to cross them. Here’s a snapshot, in case you need to know how it will look like. Justin Lennox created something like that at HackFSU, a hackathon hosted at Florida State University and later, he teamed up with Tyler Puszewski and founded Foxtail Games, and they are bringing the Brave Explorers to you soon. It’ll be available soon! Right now, it’s in private alpha stage, and probably it may take some more time before the alpha testers try it out, provide the feedback and then the Brave Explorers journey may start its journey in beta phase and get launched. We got to know that, the beta testing phase will begin in August, and if everything goes well, the Brave Explorers can be seen live on Kickstarter in Mid-September. I’m damn impressed with the idea of making such an interactive game and pretty much eager to put my hands on it. Meanwhile, enjoy this small promo video to know a little more about it and see it in action! Isn’t that teaser blew your mind? It did to me! The technology is patent pending, and as you can see the applications are limitless. They can use the same for e-learning concepts which may revolutionize the way we learn things online. Hopefully, we may be getting a chance to test it. Next articleMynt Smart Tracker & Key Finder Review – You’ll Only Need This One Tiny Gadget To Track All your Belongings!